If you live or intend to settle down in Guttenberg, you can be sure that Optimum Moving is the moving specialist you can trust for all your commercial and residential moving needs. Moving is our passion so we plan, pack and move! With our premium moving solutions, there is never a dull moment when you work with us. You can count on our team of talented movers to take away the potential stress and hassles that are often tied to a moving project. Guttenberg is a cozy town located in Hudson County. The town is home to Galaxy Towers, which is a trio of residential skyscrapers that overlook the Hudson River. Guttenberg is actually just four blocks wide and ten blocks long. It takes us less than a minute to drive through the town! 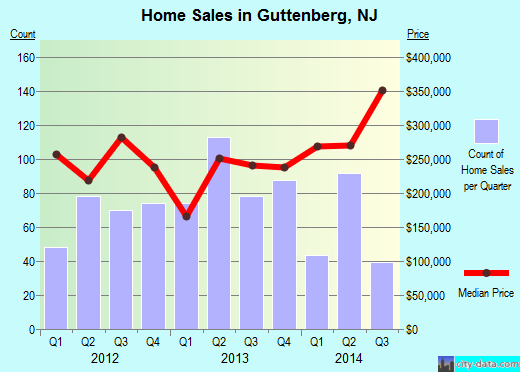 In Guttenberg, the median price of the houses here cost about $305,344. What’s more, a majority of the residents living here opt for a house that has at least one to two bedrooms. More than 50% of the 11,429 population here stay in the city for long time durations which is five years on average. Renters choose to live in their rented houses and condos for an average of two years while property owners who owned houses and condos choose to stay in for an average of 11 years. When you opt for our premium moving services, you will get to experience the passion we have here at Optimum Moving. Since our inception, we have successfully moved fragile items, bulky items and many other items that need extra care. What’s more, we offer fixed rate pricing so you never have to deal with unpleasant hidden costs. When you move with Optimum Moving, you can expect us to pack, deliver and unpack – it is all in a day’s work for our crew. For complete peace of mind, you will be glad to know that your belongings are protected with our Basic Carrier Liability and Full Replacement Value coverage. Want to learn more about a Guttenberg Move?